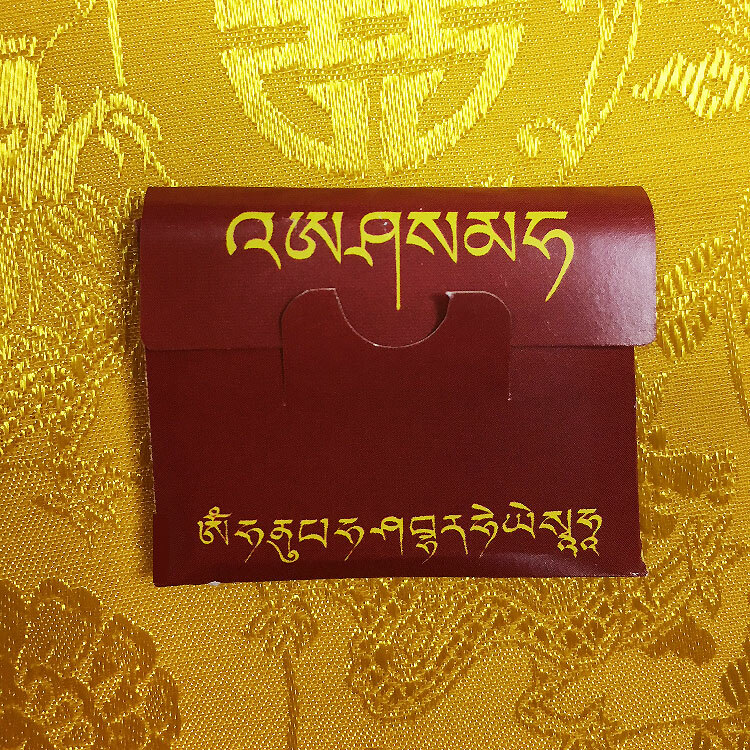 This mantra packet contains the Namgyalma Mantra Wheel and the Lama Atisha Protection Mantra. 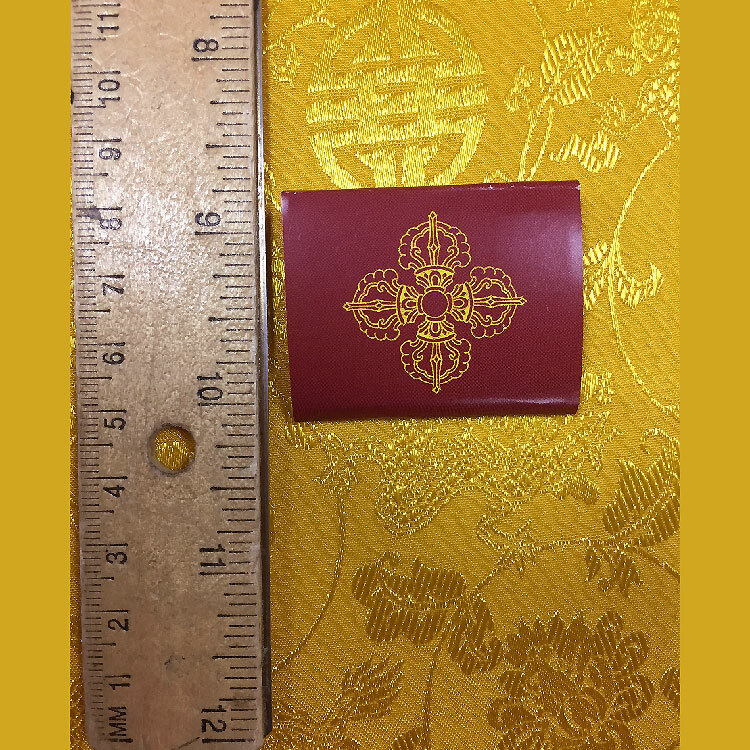 In addition to the benefits taught by Lama Zopa Rinpoche for each mantra (see additional Dharma item links), keeping this amulet close to one's body protects one from harm and mental pollution. 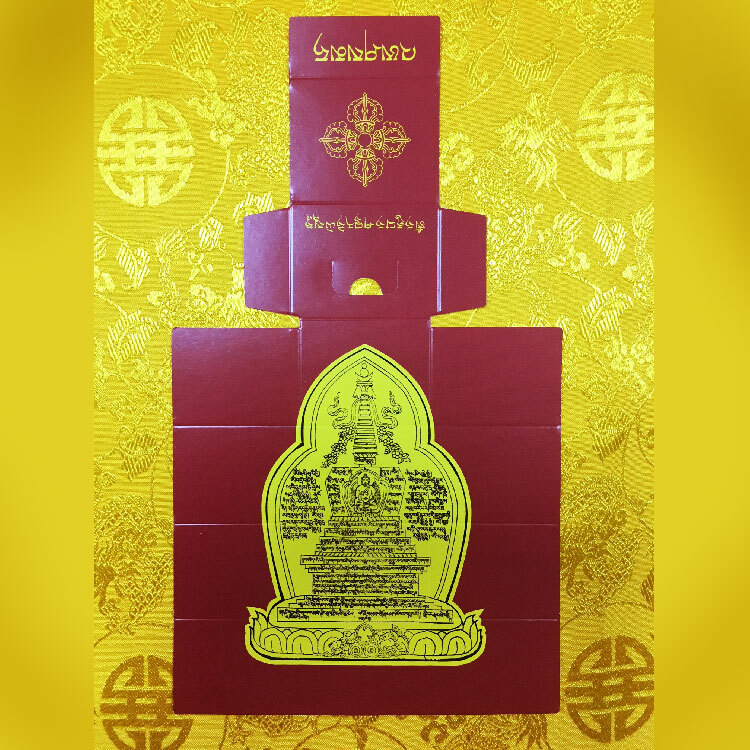 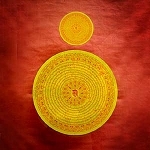 The Phagpa Chulung Rolpai Do Mantra, which upon seeing, purifies 100,000 eons of negative karma and obscurations. 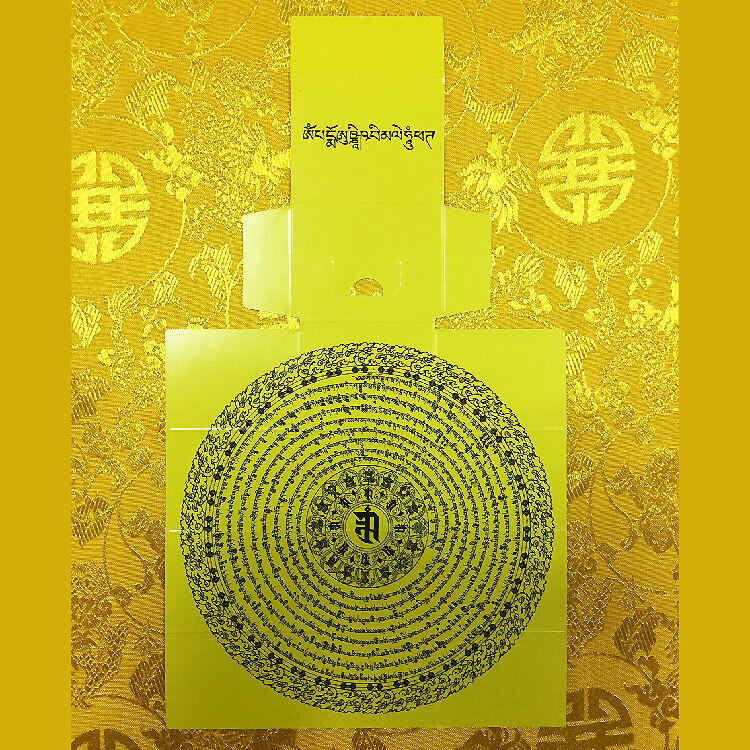 The Wish-Granting Wheel Mantra, which purifies one thousand eons of negative karma for anyone that passes beneath it. 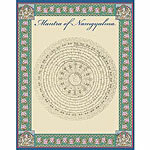 The Six Syllables of Clairvoyance Mantra, which after fifteen days upon seeing, purifies any heavy negative karma created in the past. 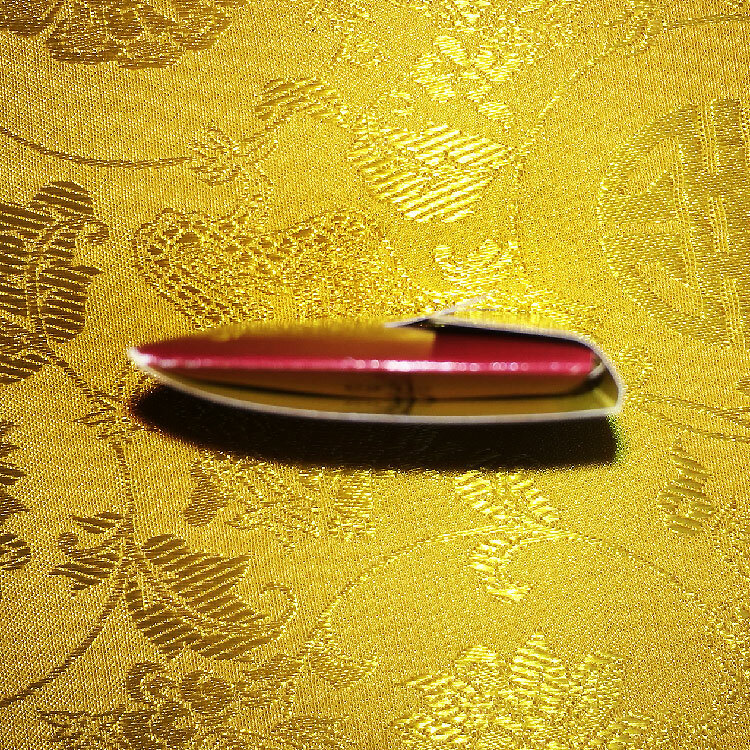 You may place the amulet in a protective cloth or pouch and wear it around your neck. 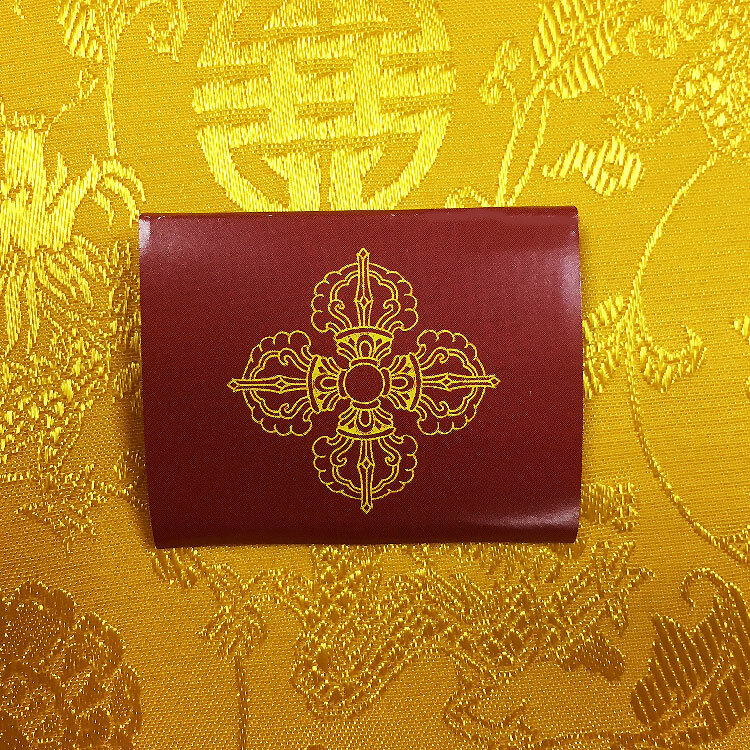 Click here for advice on wearing protection items. 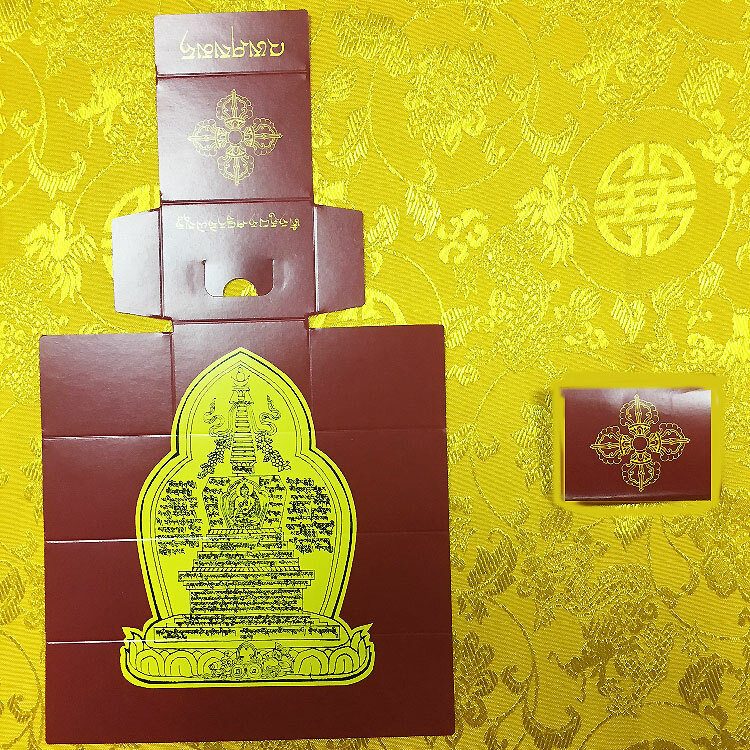 Click here for instructions on an easy way to benefit animals. 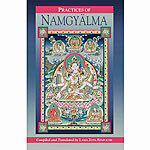 Watch Lama Zopa Rinpoche describe the benefits of the Namgyalma mantra.